Abstract The surface properties and chemical composition of one surface coating on the stainless steel substrate was characterized by scanning electron microscope (SEM), energy dispersive spectrometer (EDS), 3D surface profilometer, X-ray photoelectron spectroscopy (XPS), Fourier transform infra-red spectrum (FT-IR) and contact angle measurement (CA). 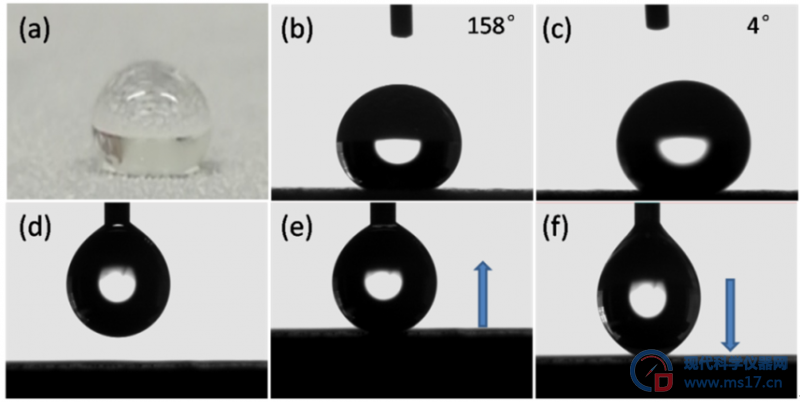 The results indicated that the coating was superhydrophobic with a high surface water contact angle as high as 158°and a low sliding angle of 4°. The surface free energy was 0.48mN/m, which was very low. And the surface was very rough with a micro-nano hierarchical structure. The Ra value of the coating surface was 15.7μm. And the composition analysis results indicated that the coating may be produced with polytetrafluoroethylene (PTFE), polyvinylchloride (PVC) and silicone dioxide nano-particles through particle filling method. 高帅, 曹磊, 张泉, 等. 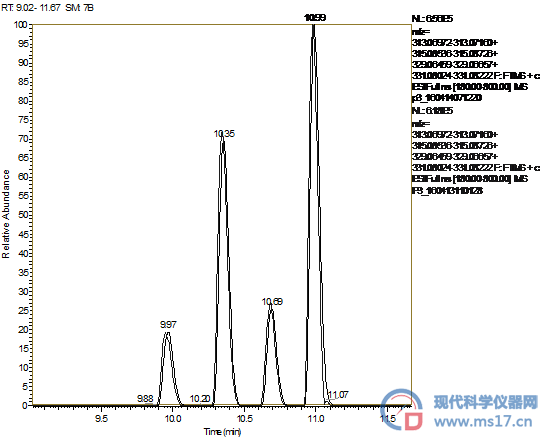 金属铝表面超疏水薄膜的构筑及减摩特性[J].表面技术, 2016 ,45:75-80. Guo Z G, Liu W M. Biomimic from the Superhydrophobic Plant Leaves in Nature: Binary Structure and Unitary Structure [J]. Plant Science, 2007,172:1103-1112. Gao X, Jiang L. Water-repellent Legs of Water Striders[J]. Nature, 2004, 432:36. 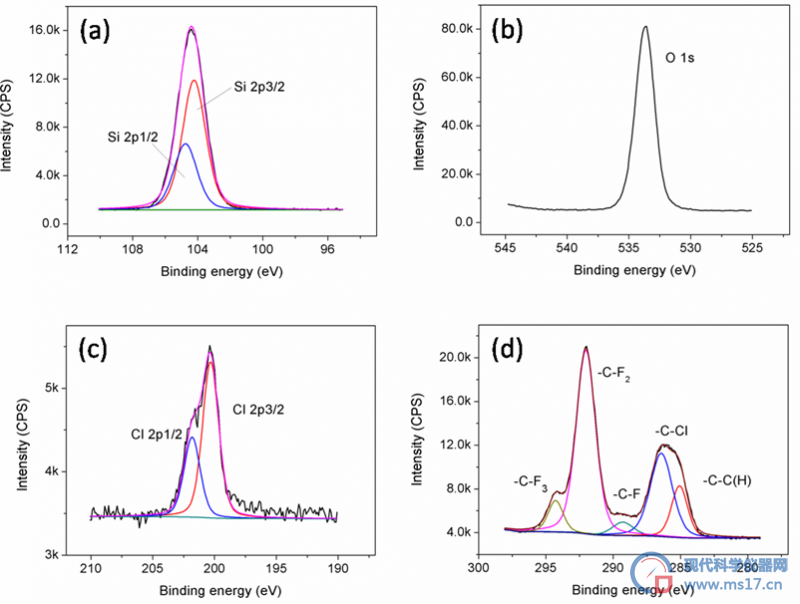 Xue Z X, Liu M J, Jiang L. Recent Developments in Polymeric Superoleophobic Surfaces[J]. Journal of Polymer Science Part B: Polymer Physics, 2012,50:1204-1209. Zhang Z Z, Ge B, MenX H, et al.Mechanically Durable, Superhydrophobic Coatings Prepared by Dual-layer Method for Anti-corrosion and Self-cleaning [J]. Colloids and Surfaces A: Physicochemical and Engineering Aspects, 2016,490:182-188. Liu Y H, Li G J. A New Method for Producing “Lotus Effect” on a Biomimetic Shark Skin [J]. 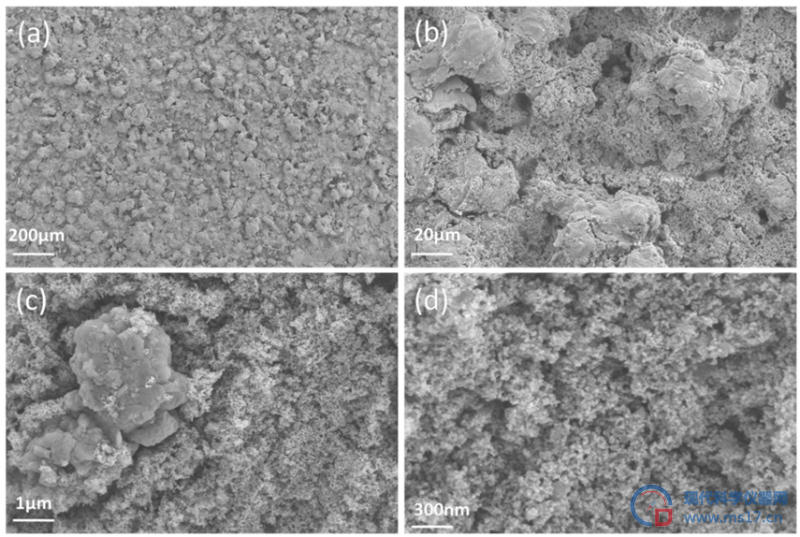 Journal of Colloid Interface Science, 2012,388:235-242. Neinhuis C, Barthlott W. Characterization and Distribution of Water-repellent, Self-cleaning Plant Surfaces [J]. Annals of Botany, 1997,79:667-677. Barthlot W, Neinhuis C. Purity of the Sacred Lotus, or Escape from Contamination in Biological Surfaces [J]. Planta, 1997,202:1-8. Feng L, Li S, Li Y, et al. 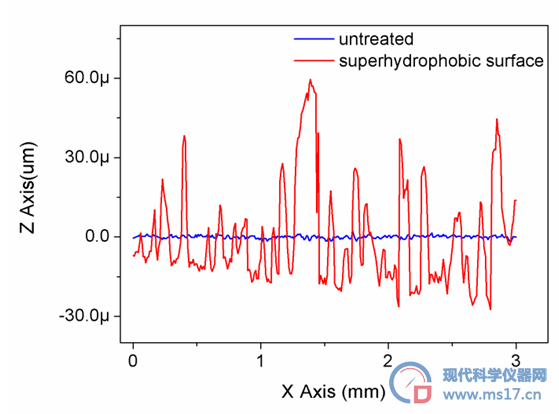 Super-hydrophobic Surfaces: From Natural to Artificial [J]. Advanced Material,2002,14:1857-1860. 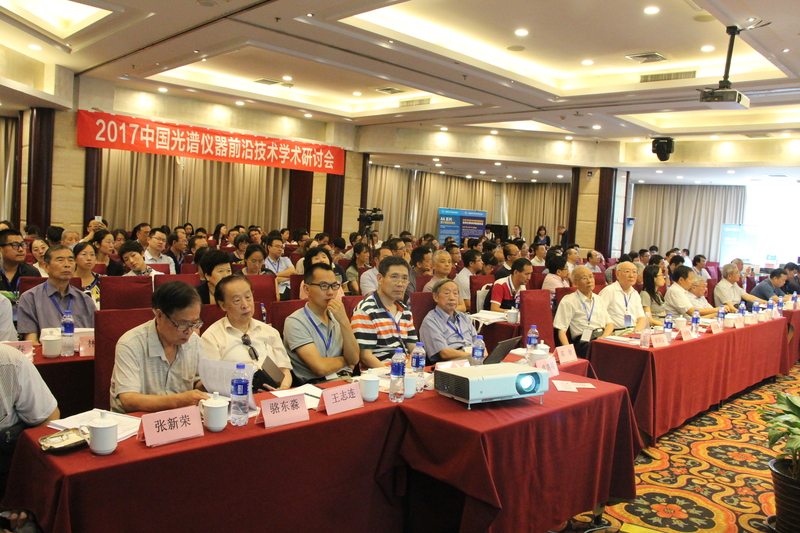 Zhao N, Xu J, Xie QD, et al. Fabrication of Biomimetic Superhydrophobic Coating with a Micro-nano-binary Structure [J]. Macromolecular Rapid Communications, 2005,26:1075-1080. Yin SH, Zhu B, Liu YC, et al. Fabrication of Superhydrophobic Aluminum Plate by Surface Etching and Fluorosilane Modification [J]. 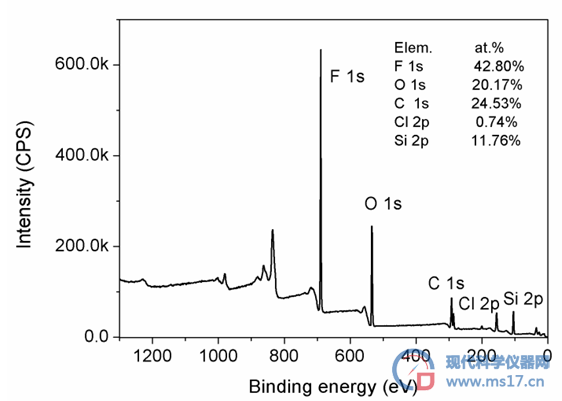 Chemical Research in Chinese Universities, 2012,28:903-906. Liu S, Liu X, Latthe SS, et al. Self-cleaning Transparent Superhydrophobic Coatings through Simple Sol–gel Processing of Fluoroalkylsilane [J]. Applied Surface Science, 2015,351:897-903. Zhai S, Zhi YY, Hu EJ, et al. Formation of Superhydrophobic Polystyrene Film by Electric-assisted Phase Separation [J]. Materials Letters, 2015,155:54-57. Khorsand S, Raeissi K, Ashrafizadeh F, et al. Corrosion Behavior of Super-hydrophobic Electrodeposited Nickel-cobalt Alloy Film [J]. Applied Surface Science, 2016,364:349-357. Xie L, Tang Z, JiangL, et al. Creation of Superhydrophobic Wood Surfaces by Plasma Etching and Thin-film Deposition [J]. Surface& Coatings Technology, 2015,281:125-132. Zhang C, Zhang S, Gao P, et al.Superhydrophobic Hybrid Films Prepared from Silica Nanoparticles and Ionic Liquids via Layer-by-layer Self-assembly [J]. Thin Solid Films, 2014,570:27-32. 左志平, 廖瑞金, 郭超, 庄奥运. 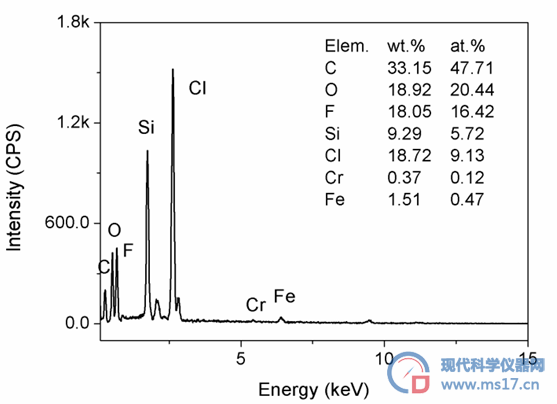 玻璃绝缘子超疏水复合涂层的制备及其防冰性能研究 [J], 电气工程学报, 2015,10(4):99-105. 钱立海, 罗远芳, 贾志欣, 贾德民. 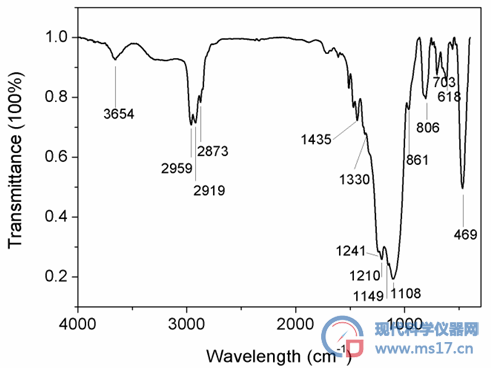 SBR-SiO2超疏水涂层的制备与性能 [J],功能材料, 2013,44(5):722-726. 谢永元, 超疏水微图案化表面制作及应用 [D], 厦门大学硕士学位论文, 2007年. Owens D K, Wendt R C. Estimation of the Surface Free Energy of Polymers [J], Journal of Applied Polymer Science,1969,13:1741-1747. Park B H, Lee MH, Kim S B, Jo Y M. evaluation of the Surface Properties of PTFE Foam Coating Filter Media using XPSand Contact Angle Measurements [J]，Applied Surface Science,2011,257:3709-3716.